The grand finale of the Big Brother Naija Re-union yesterday experienced drama between the reality show host Ebuka and one of the former housemate, Alex. 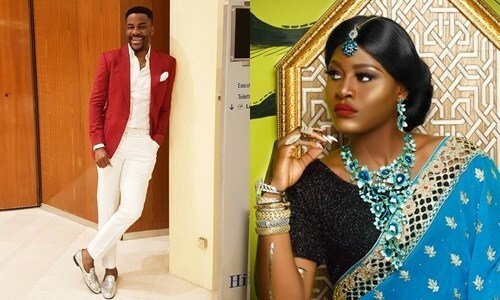 The reality show host, Ebuka has stated that Alex centered her life around her fellow housemate, Tobi, Cee-C and Leo. During the polygraph test, Alex tackled Ebuka for the statement earlier stated and expressed her displeasure. Alex stated that she failed because strap to her arm was too tight and stated it was becaused that questions were centered around CeeC, Leo and Tobi. Thereafter, Ebuka requested for what to ask her and she answered by saying that they should asked her about her life.